I have a 2001 Ford Ranger Edge with a 3.0L engine. The lights on my instrument panel went out this week along with the lights for my heating and A/C unit. 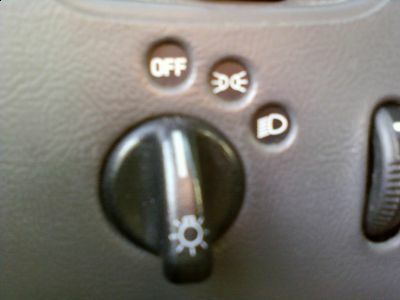 The fog lights and parking lights are also out the headlights, brake and turn signal lights all continue to work. No fuses are blown and I replaced and checked all the lights in my instrument cluster to no avail. Whats wrong with my lights? Ok first I need you to check fuse number 11 it is a 7.5 amp, it is in the central fuse box behind the left (drivers) side of dash. If this fuse is good then I need to know if you have a digital multi meter so we can look at the instrument cluster dimmer and dimming module, this on the top left side of dash. If you have meter I need you to check the brown wire going to it. With the lights on does this wire have voltage? Also the ground for the instrument cluster is below the left front seat make sure it is good and secure. Get back to me and we will take it from there. Ok great let me know what you find and we will go from there. So it turns out that it was the headlight switch. There must have been some sort of short part of the switch had melted. I replaced the switch and everything is working again the only thing is that there is a little green light on the swith that is always on now (while the truck is running). I'm not sure if thats the way it's supposed to be? Ok nothing say's what the green light is for so I will do some more searching. I do have a couple of questions however. Does your truck have fog lights? Do you have DRL (day time running lights)? Get back to me on that in the mean time I will look for why that light is on. My truck does have fog lights but no DRLs. The green light is actually an LED attached to the switch assembly itself. It is used to light up little symbols on the instrument panel that indicate wether I have no lights parking lights or my headlights on. It looks like the gem module might be telling it to come on as this controls all the lighting. Is the led on all the time or just when the key is on? Only when the key is on. So what symbol does it light up? I am looking over the wiring diagram for you lights and I don't find it. Let me know what the symbol is or include a pic. It don't look like the gem module could do that. So get back to me and we will take it from there. There is an orange wire with a black stripe that comes off your headlight switch does this have power all the time? I am not giving up so hang in there with me. Ok it may be that the dimmer switch module may be not working right so lets do a test to see what is happening. Check to see if the light green wire with the orange stripe has power to it. Then when you turn on the interior lights with the dimmer switch does it give power to the black wire with the pink stripe? Let me know that goes if this tests good then it on to the Gem module to see what it is doing as this does control all the lighting in some way. Okay I'll test those wires and I forgot to mention that I noticed that if my truck is off and I turn the lights on then adjust the dimmer switch the switch makes a humming noise. It only does this when the truck is off. Thats strange I will see if I can find anything on the humming. Get back to me when you can on testing the power to it and such and we will take it from there. The starter of the thread says it was the headlight switch that was bad in his case. To make sure this is the same problem for your car here is a guide and a wiring diagram. 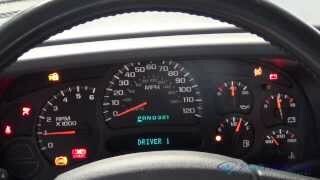 How can I replace the dashboard lights? I can't find a way to get to them. I believe this is what you are looking for. You will have to remove the dash cluster to remove and replace the bulbs. Remove instrument cluster. See INSTRUMENT CLUSTER. Remove instrument panel illumination or indicator bulb by turning socket and bulb counterclockwise. To install, reverse removal procedure. 1. Remove instrument cluster. See INSTRUMENT CLUSTER. Remove instrument cluster gauge amplifier. See INSTRUMENT CLUSTER GAUGE AMPLIFIER. 2. Remove all instrument panel illumination and indicator bulbs by turning each bulb counterclockwise. Remove gauges. See GAUGES. 3. Remove 19 instrument gauge harness connector clips using long-nose pliers. Squeeze both sides of clip equally so locking ears pass through opening in instrument cluster case. Be careful not to overbend or distort clips. DO NOT reuse instrument gauge clips. 4. Ease instrument cluster printed circuit up and off locating pins and remove from case. To install, reverse removal procedure using NEW instrument gauge clips. CAUTION:	Instrument cluster light bulbs are pressurized and may shatter if improperly handled. Wear eye protection when replacing instrument cluster light bulbs. 1. Disconnect negative battery cable. Remove 2 screws from center instrument panel finish panel and pull out center instrument panel finish panel. Remove radio. Disconnect electrical harness connectors. Remove hood latch release handle and cable from instrument panel steering column cover. 2. Remove 2 screws and instrument panel steering column cover. Remove 4 screws and instrument panel steering column opening cover reinforcement. Position column gear shift lever aside (if equipped). Remove 3 screws and pull out cluster finish panel. Disconnect electrical harness connectors and remove cluster finish panel. 3. Remove 4 instrument cluster screws. Pull out instrument cluster and remove transmission range indicator (if equipped with automatic transmission). Disconnect electrical harness connectors and remove instrument cluster. To install, reverse removal procedure. CAUTION:	If gauges are being removed from cluster assembly, DO NOT remove gauge pointer. Magnetic gauges cannot be recalibrated. NOTE:	Fuel gauge and instrument cluster gauge amplifier are calibrated together and cannot be serviced separately. Remove instrument cluster. See INSTRUMENT CLUSTER. Remove instrument cluster gauge amplifier from back of instrument cluster. Remove 7 screws, instrument cluster lens and mask assembly from instrument cluster. Remove appropriate instrument gauge clips. DO NOT reuse instrument gauge clips. Outside gauge assemblies must be removed before center gauge assembly. Gently remove desired gauge block by grasping outside edges of gauge and lifting. To install, reverse removal procedure using NEW instrument gauge clips. I have a 2001 Ford Ranger Edge and none of the dash lights work. Cigarette lighter or horn. Checked all the fuses and still nothing. I am providing you with the wiring diagram for the instrument cluster. Start by cheking the grounds for corrosion or a loose fit. Repair if neccasay and then check for loose wires. I have a problem with my rear turning signal light. It seems to only work in park. When I put the signal on in drive or revers it blinks twice as fast as it should in the front light and on the dash too, but the rear light just does not blink at all. I've replaced the bulb once already and it worked for about one day then it started doing it again. Does anyone know what the problem is, and what I can do to fix it?